Let’s face it: For the common user identifying driver issues can be fairly difficult. Even once you’ve figured out what drivers are and how they can be repaired and updated, many programs that do this will demand you pay money to actually get your drivers upgraded. They may even run an in-depth scan that tells you what’s wrong. In this article we’ll discuss a trustworthy application that even an ordinary user can use to identify outdated/unrecognized drivers on their computer. Tweaking.com is a personal favorite of mine. They primarily provide free software utilities for Windows machines, mostly repair-focused. I’ve used their Windows Repair application multiple times on older machines that needed a new lease on life. While in recent years they’ve added a few premium features, all of their best work is available without needing to move through a paywall. Their “Hardware Identify” application is an example of this. As an application that isn’t trying to sell you anything, it’s focused on one thing and one thing only: showing you driver issues. Let’s talk about how to install it. 2. Next, open the downloaded application in your Downloads folder. Once you’ve successfully installed the program, it’s time to start learning how to use it. When you open the program you’re greeted by four tabs at the top. However, there are really only two you should focus on: “No Drivers Installed” and “Hardware With Problems.” These identify hardware components in your computer that weren’t installed properly or are having driver issues. On the bottom-right, be sure to click “Update” to make sure you’re using the latest database version. You can also select “Improve Database” to see if you have any devices to add to the database for other users to compare to. 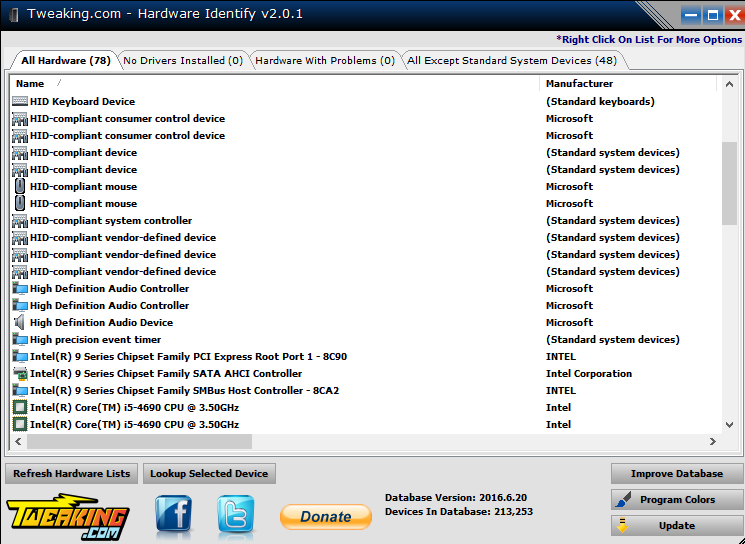 Unlike Windows’ Device Manager, Hardware Identify allows you to easily start searching for new drivers. 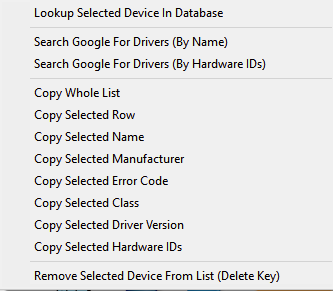 Click the “Search Google For Drivers” option to run a Google search. Name should work in most cases, but if that doesn’t give you what you’re looking for, Hardware IDs is what you should try next. Of course, we don’t just talk about downsides to other solutions here on MakeTechEasier. 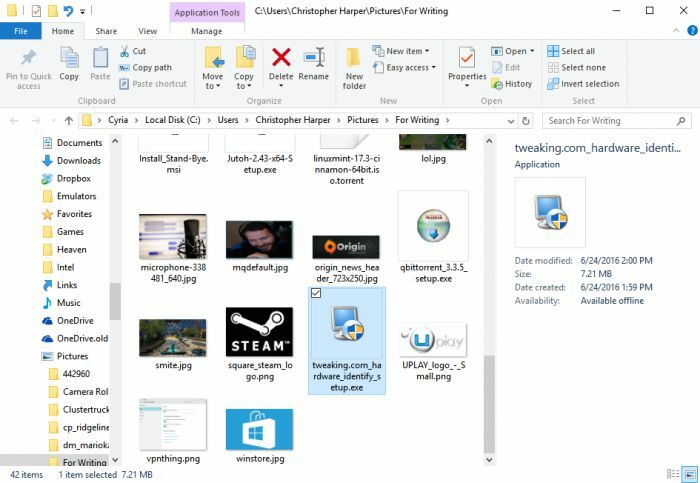 There are actually plenty of free driver update solutions that you can use, and Karrar wrote an article on some Windows driver update tools! Go check that out if you want to save yourself a bit of work. Are you having any issues with device drivers? Found any useful programs to help with those issues? Sound off below! I’m ready to help if you need it, and I’d also like to see what others can do. how about for the MAC?